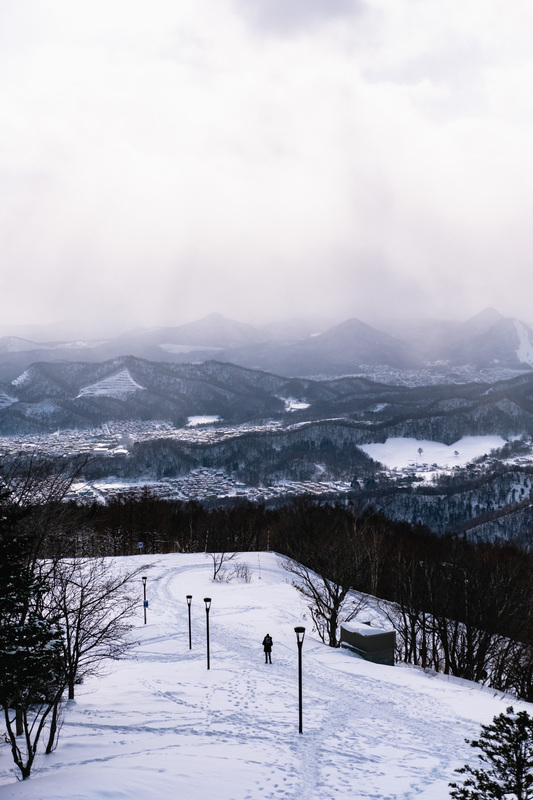 Best known for the popular lager beer and the 1972 Winter Olympics; the friendly “little” city of Sapporo marked the starting point for our 21-day Japan Rail Series of content. 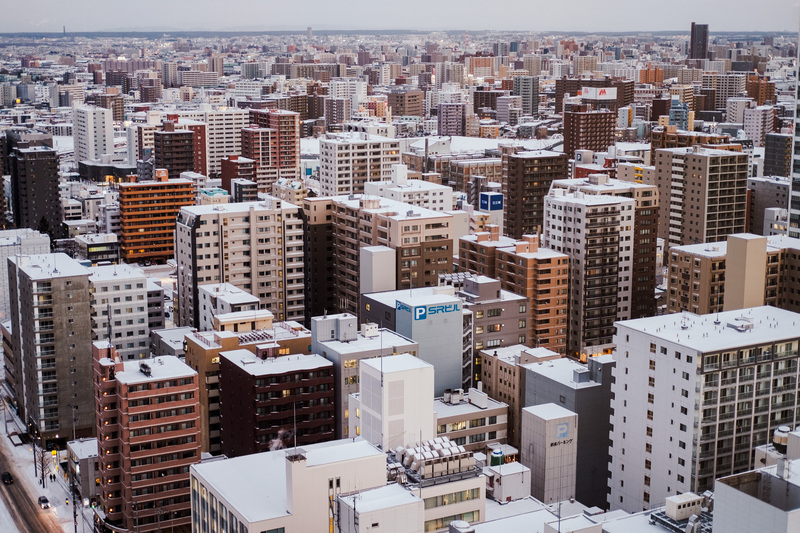 Sapporo is the largest city in Hokkaido and the 5th largest city in all of Japan. To me, it has an air of coolness about it, and no, not just because it’s further up north. There’s just something about the name, or maybe it’s the symbolic star adorned on matte cans of beer, that’s always intrigued me as a city to visit. This whole trip and itinerary was planned and paid for independent of any tourism boards or businesses. The locations and accommodations are our genuine preferences and recommendations, as standard across the content we produce. Some of the links in this post are uniquely affiliated to us. If you choose to book a trip through these links, they will assist in funding future content at no extra cost to you — thanks for the support! 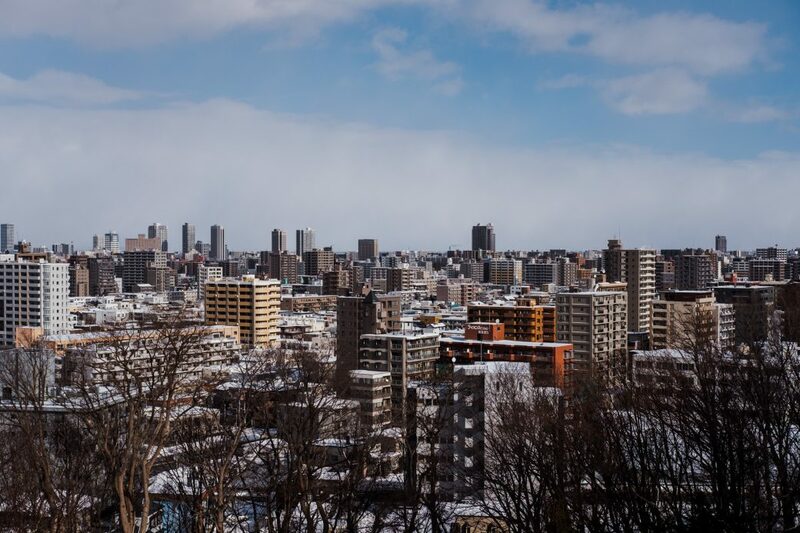 Aside from being a major city in Japan I’ve been keen to visit for a long time, Elly actually has her own personal connection to Sapporo. Her mum’s family originate from there before they moved south to Tokyo. They were obviously excited to hear our plans for the trip and offered advice for what to expect with the snow. 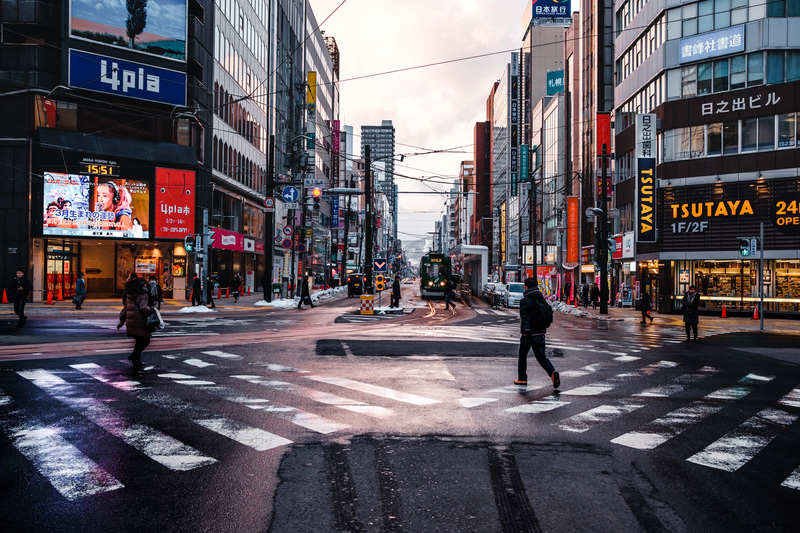 We would class this as our first time in the city, although Elly had technically been to Sapporo previously. To be fair, her last experience was when she was just three years old, so I don’t think that really counts! 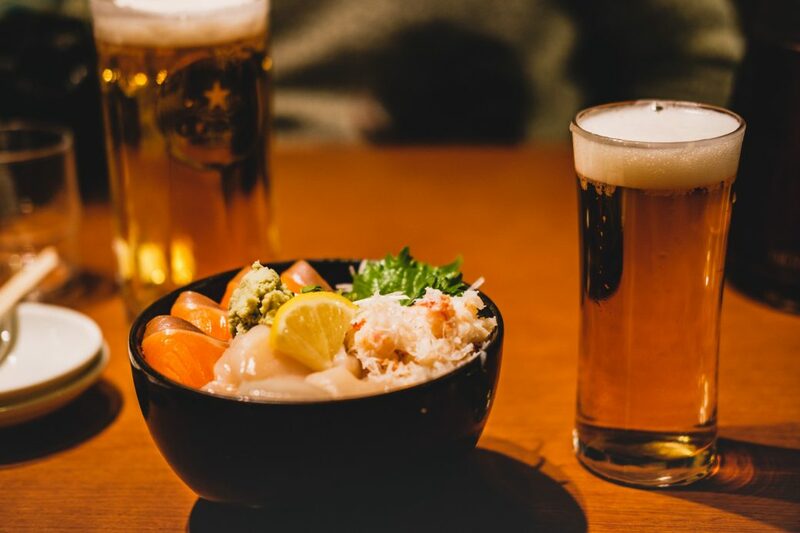 As with pretty much every single region in Japan, Sapporo has its distinct dishes and cuisine. Our first night in Sapporo featured a visit to Ganso Ramen Yokocho, otherwise known as “ramen alley”, in search of some tasty miso ramen. Traditionally, ramen is made with a pork broth instead of miso (with added sweetcorn), but I honestly wouldn’t hesitate in saying I’m definitely more a fan of the Sapporo miso style. I’m always keen to visit a yokocho (alleyway). Not least for the intimate eating environments and tasty food, but also for the visual aesthetics. It was around -2ºC when we arrived, which of course meant a lot of steam was emanating from the kitchens out into the alleyway. 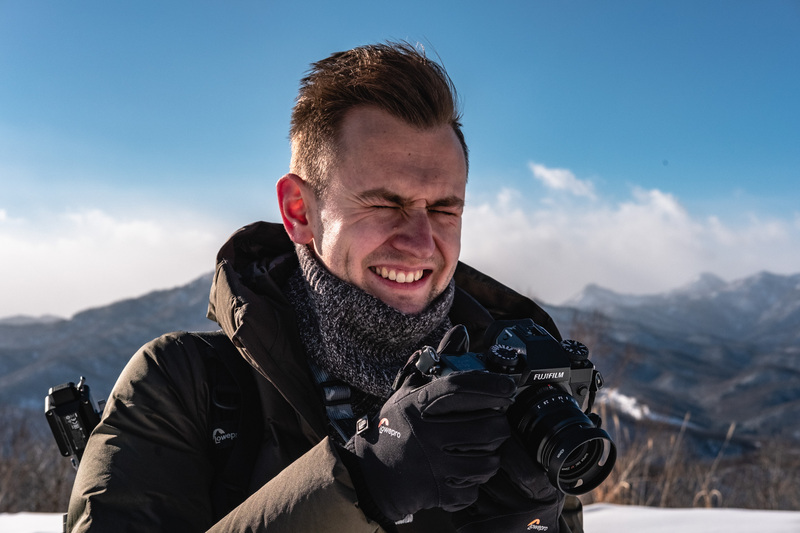 The biggest issue I immediately had, was condensation on my cameras, as we constantly switched between hot and cold environments. The viewfinders and lenses were definitely the most difficult to keep clear of condensation. But I was also concerned for the inner workings of the camera. 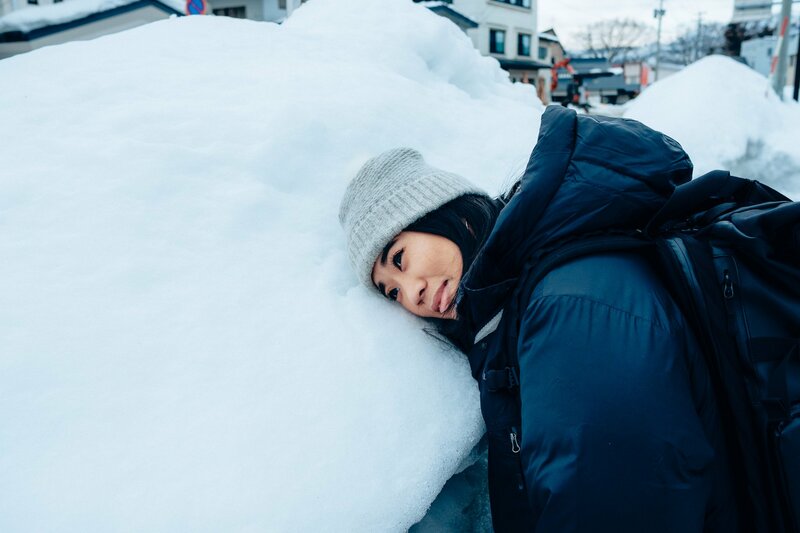 For our Japan Rail Series, Elly did extensive research on each location, to make the most of our limited time. My forté is definitely more on the logistical and production side of things. Whereas Elly is an absolute wizard with Google Maps and social media. 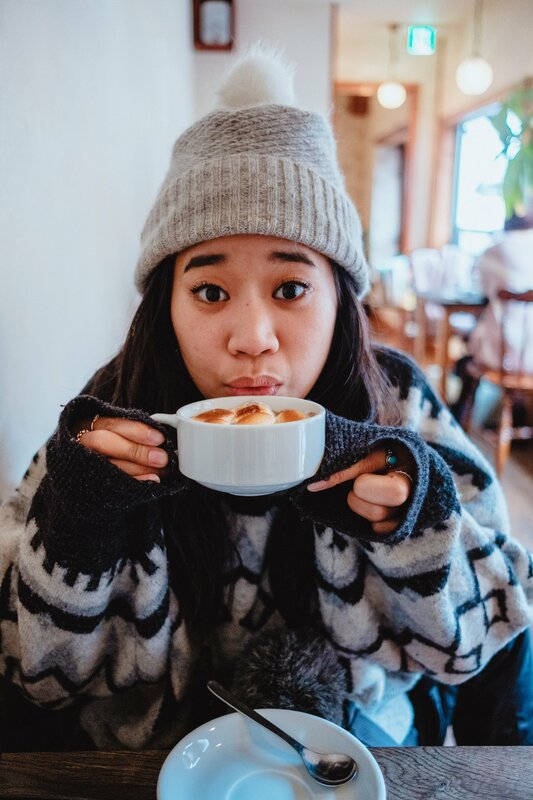 She’s always finding the best places to eat and photography locations to shoot. 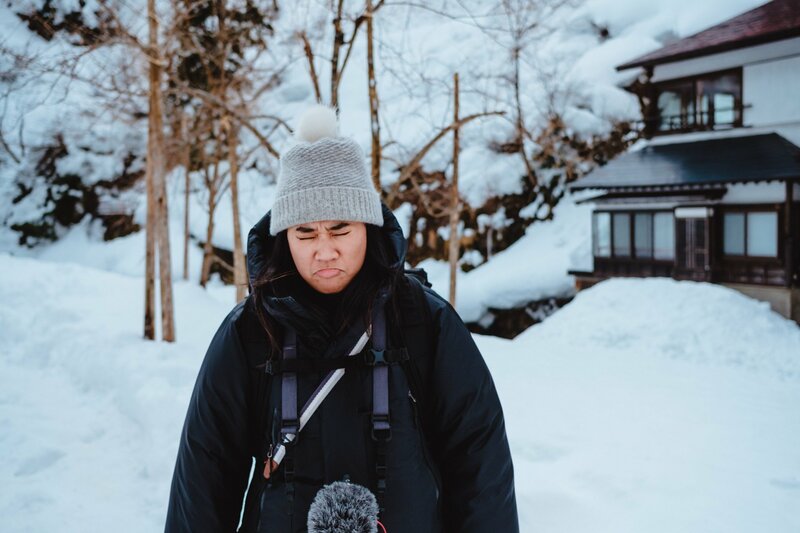 If you’re ever researching Japan on YouTube, I’m pretty sure you would’ve come across one of my friend Angela’s videos, titled Internationally Me. She’s covered an insane amount of Japan. Starting with the goal of visiting every prefecture in the country, she’s made tonnes of guides about Japan. 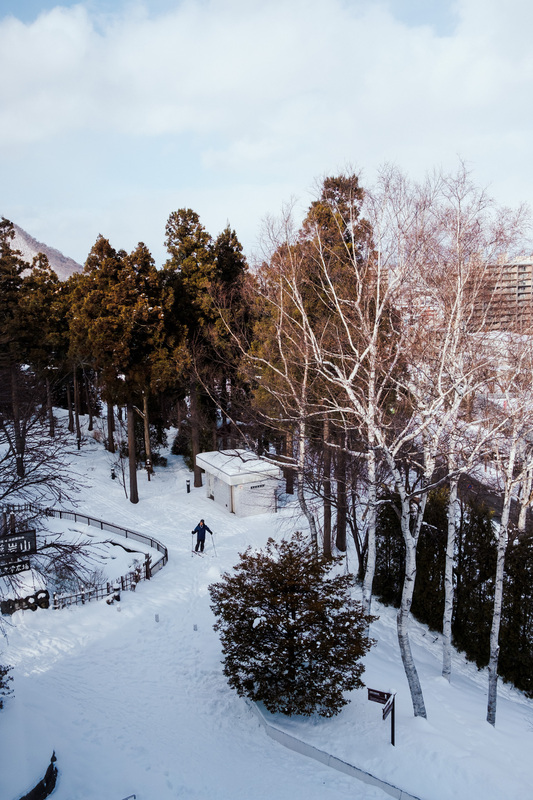 Elly came across her Sapporo video where she stayed at Hotel Unwind and we both fell in love with the wintry lodge-like aesthetic immediately. 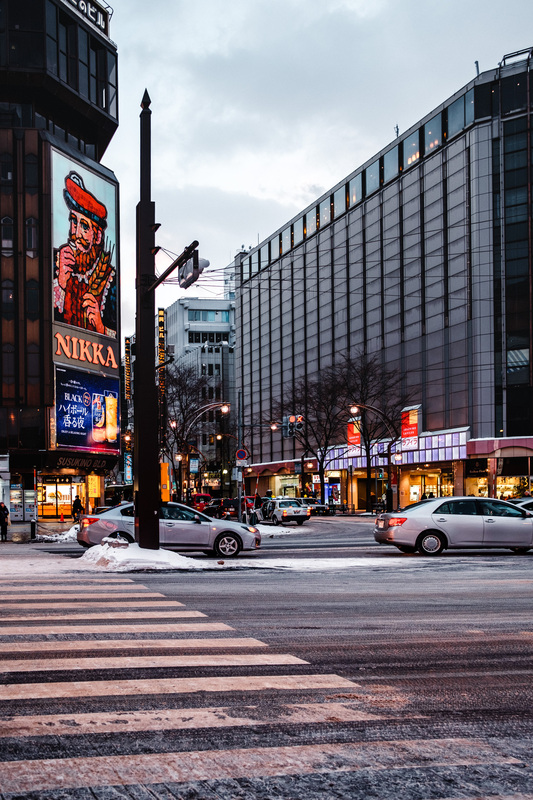 We did browse for other options to stay in Sapporo but, after many “second bests” we couldn’t find anything better. We just couldn’t resist the idea of a wine-focused hotel, styled like a winter log cabin, within walking distance of the city centre. From checking in comfortably by the fire with their originally blended coffee. To the free wine in the bar between 5-7pm. Followed by their locally-made breakfast in bed. It was very fitting for our taste. We really can’t recommend Hotel Unwind enough. 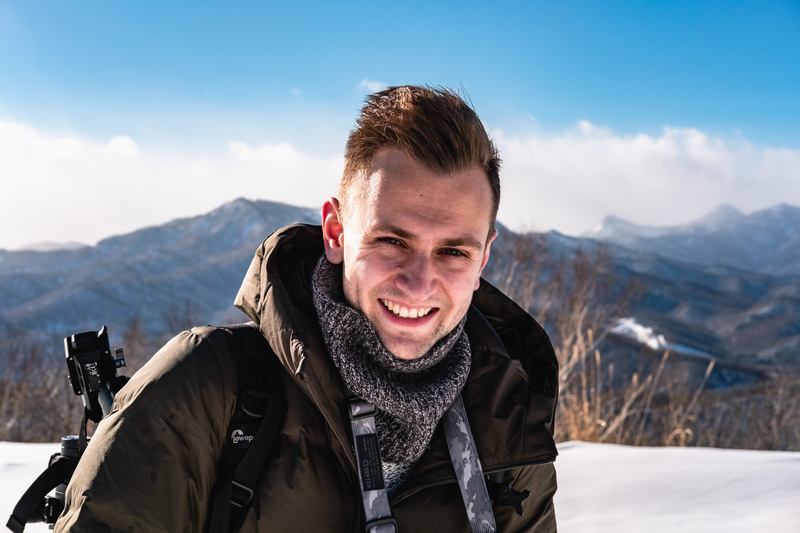 Another of my content friends, Alex, who produces the Attaché Travel YouTube channel was also a great source of inspiration to gather some tips from. Especially his specific Sapporo travel guide, conveniently published at the time we were planning our trip! I’ve said it before and I’ll continue to say it. A city with trams is a city for me. I guess since living in Melbourne, Australia, a couple of years back, I’ve developed a real soft spot for trams/streetcars. There’s such a romantic aspect to them, immune to road rage or driver arrogance. 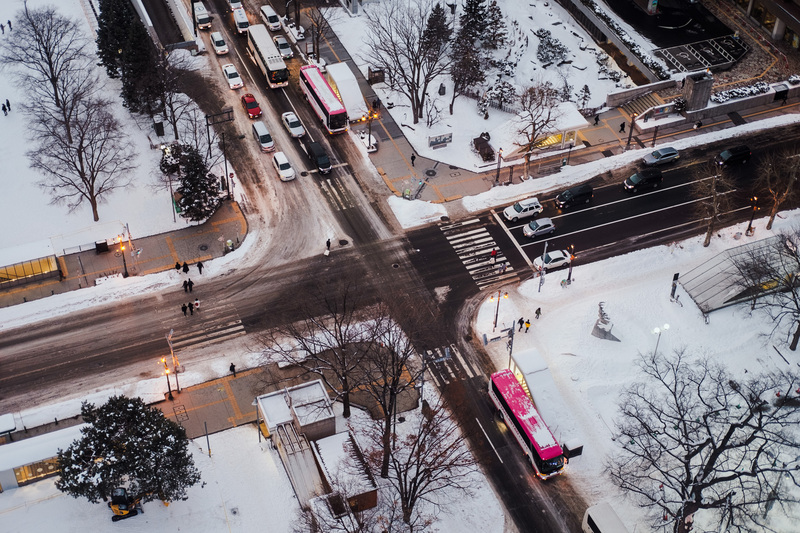 Sapporo has a pretty modest tram network, but it’s still functional and practical for getting around the centre and reaching key locations. 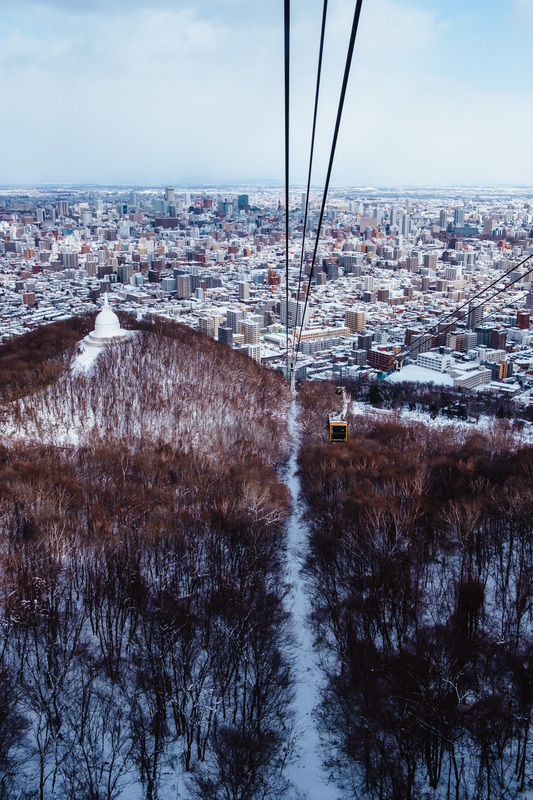 What to do in Sapporo? 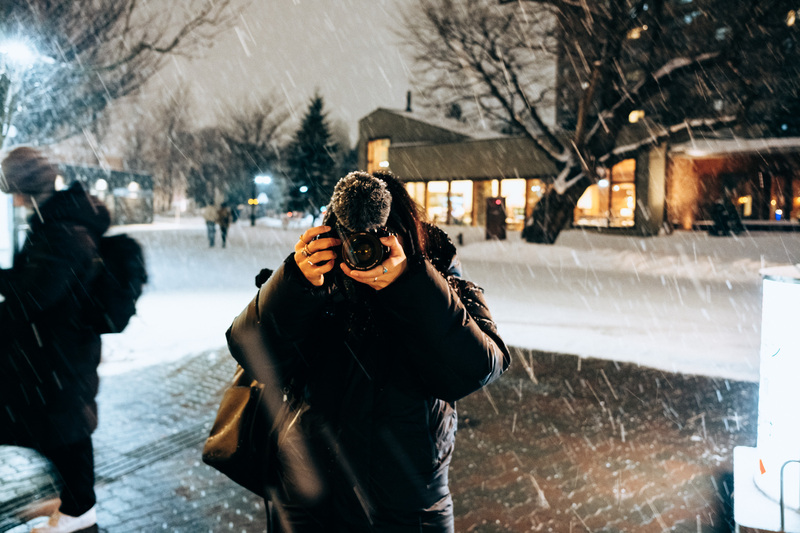 Even though we spent two nights in Sapporo, in reality, we had just one full day to explore. This, of course, limited our options. So we had to choose wisely on what to do and where to go. I love heading to viewpoints to get a perspective of a city and the Mt. Moiwa Ropeway didn’t disappoint! 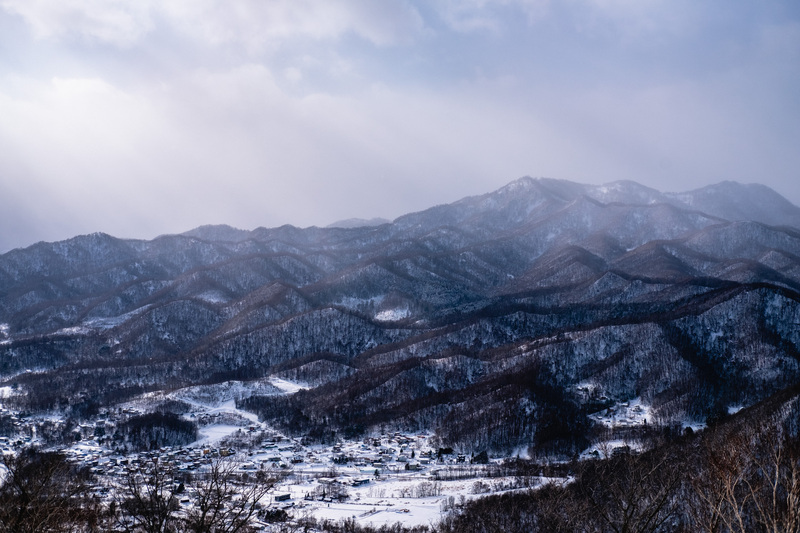 From the top of the mountain, we were able to see the vast scale of this city and experience some of the famously fresh snow for the first time. 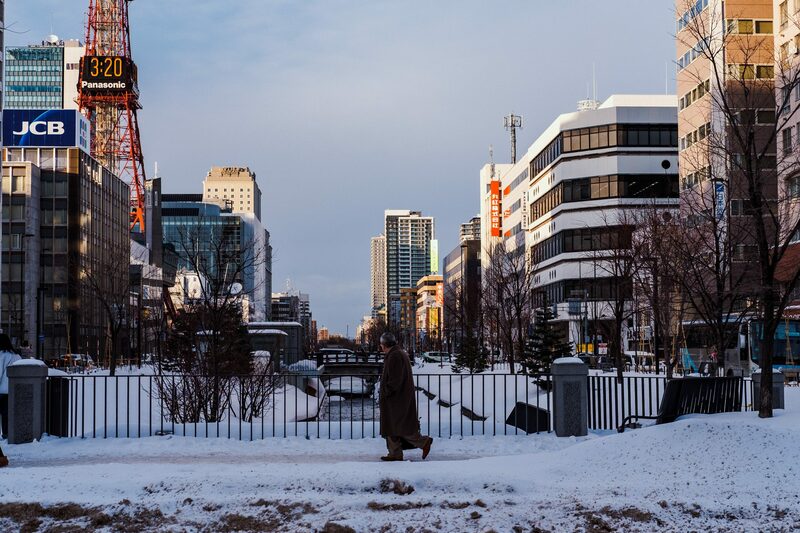 Sapporo consistently felt like a small city whilst walking around. But from above, you can clearly see it’s actually a significantly large city! 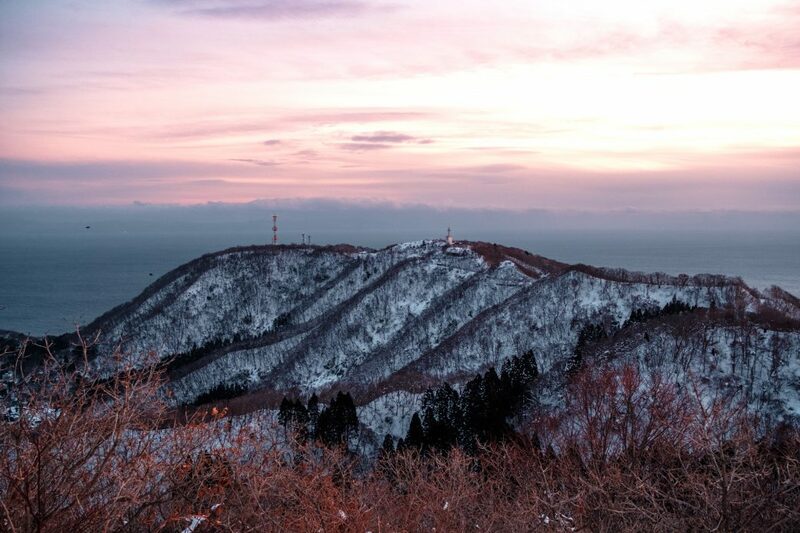 It’s often recommended on travel blogs and guides to take the ropeway at night and see the city lights glowing in the distance. While I agree that’s probably a picturesque view — as is any other city at night — it limits your viewing by 50% as the surrounding nature and mountains wouldn’t be visible in the dark. If I’m honest, I think the continued write-ups on blogs and social media about visiting at night, are simply a product of their own regurgitation. Take this as my statement that you shouldn’t feel like you should only visit at night time. 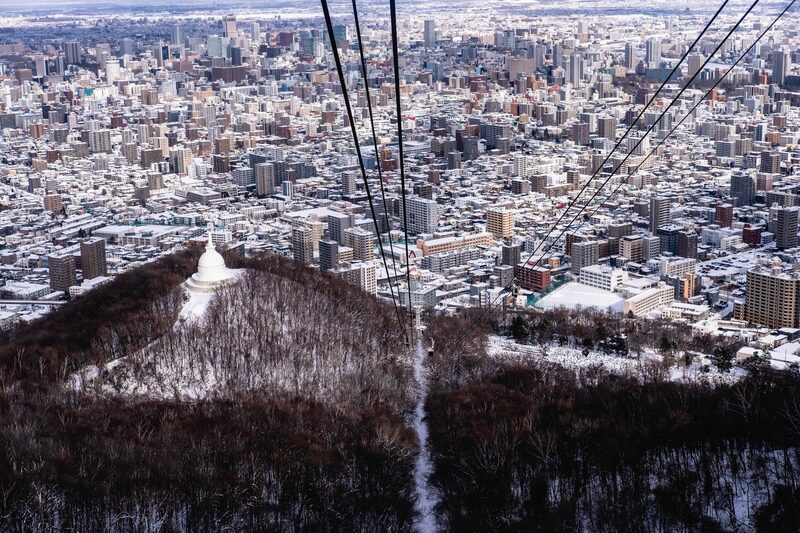 It’s absolutely worth taking the ropeway and cable car all the way to the top. No matter the time of day. Some of the locals even ski down to the bottom! 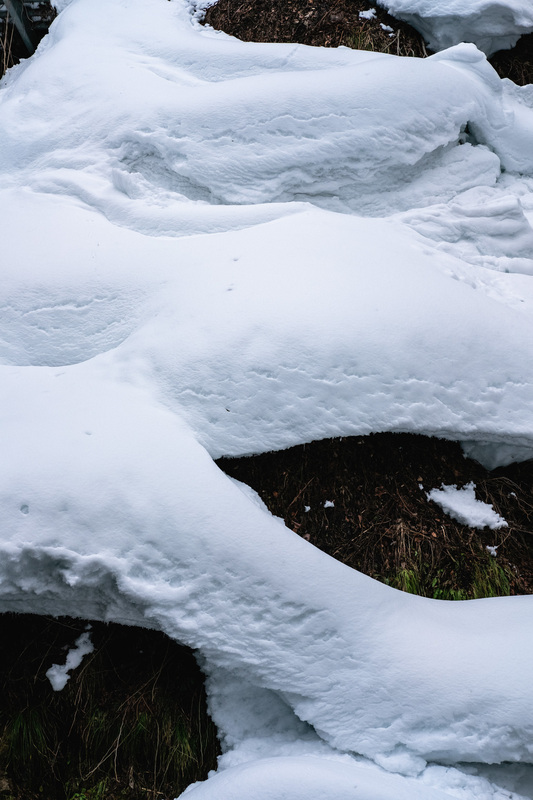 Being British, we don’t really have a great amount of experience in truly snowy locations, so I was pretty excited to see so much of it! If I’m honest, snow and mountains are still a huge novelty to me. We knew our trip would feature some extremely snowy destinations from the get-go, so we made sure to invest in some decent snow boots. I can tell you right now, they were well worth the investment in every aspect. From the warmth, comfort, grip and waterproofing to style, if I do say so myself. A visit to Sapporo wouldn’t be complete without at least a pint of the beer named after the city. 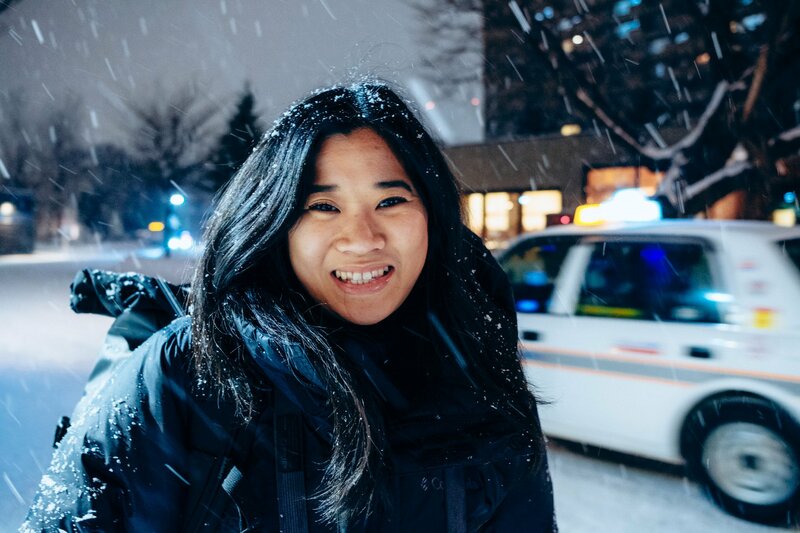 Elly discovered the Sapporo Bier Garten with an all-you-can-eat-and-drink yakiniku set menu available to book. Without hesitation, that immediately became our dinner plans for our final night in Sapporo! 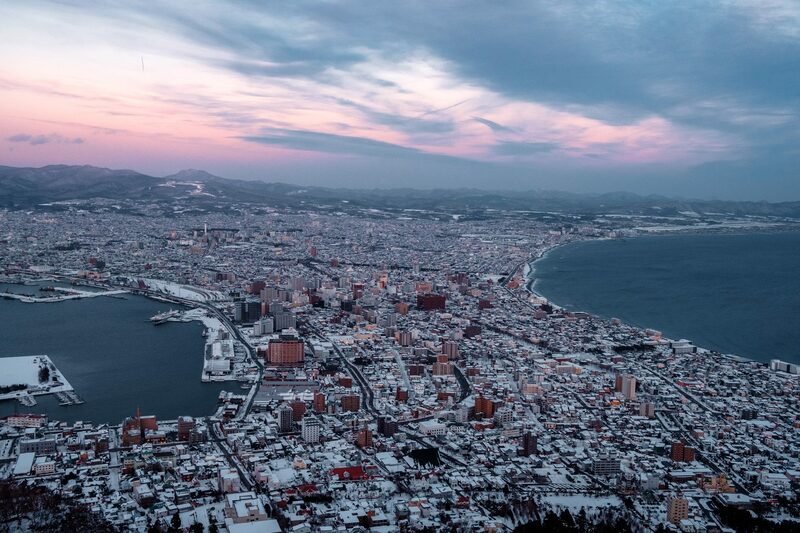 From Sapporo, we moved onto Hakodate via a super express train ride lasting about 3 hours. 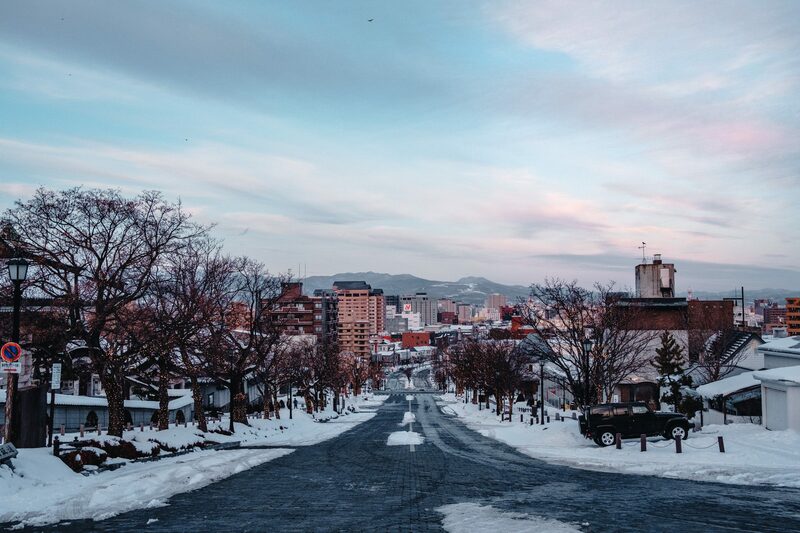 Hakodate is a popular merchant city, seen as a gateway for trade between Hokkaido and Honshu. 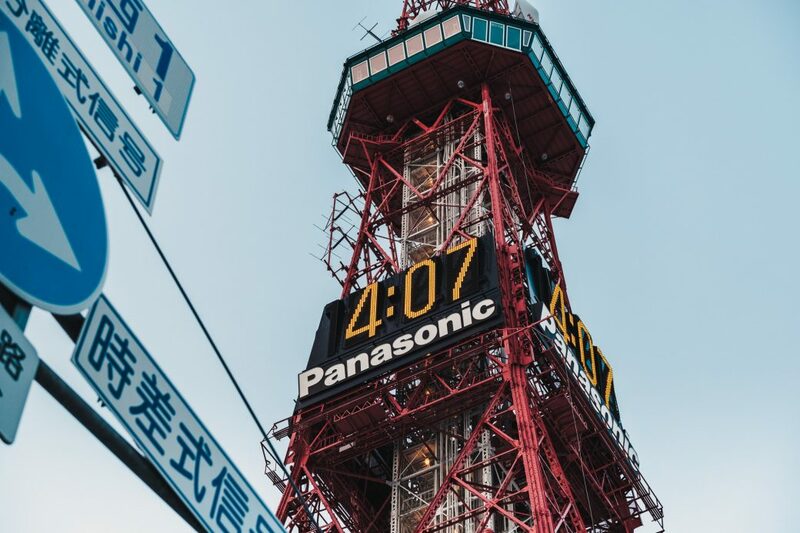 Hakodate is also the starting point for the new Shinkansen (bullet train) line that connects Hokkaido to the vast network of super-fast trains. The line opened in March 2016, after completion of the Seikan tunnel connecting the two islands. 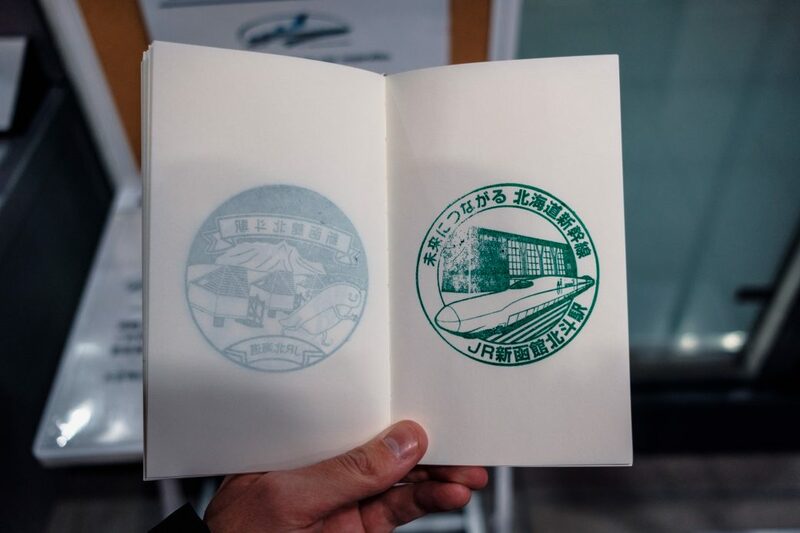 Incidentally, we were in Japan during that time and I distinctly remember seeing the new green Shinkansen trains and all the excitement in the press surrounding the launch. 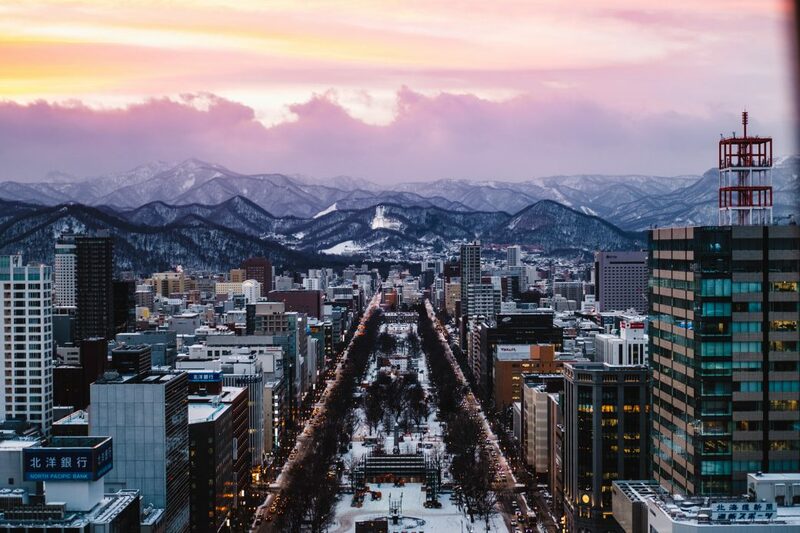 The Hokkaido Shinkansen is set to expand to Sapporo by 2031, which will reduce train travel time from Tokyo to Sapporo from around 8 hours down to about 4 — how insane is that?! 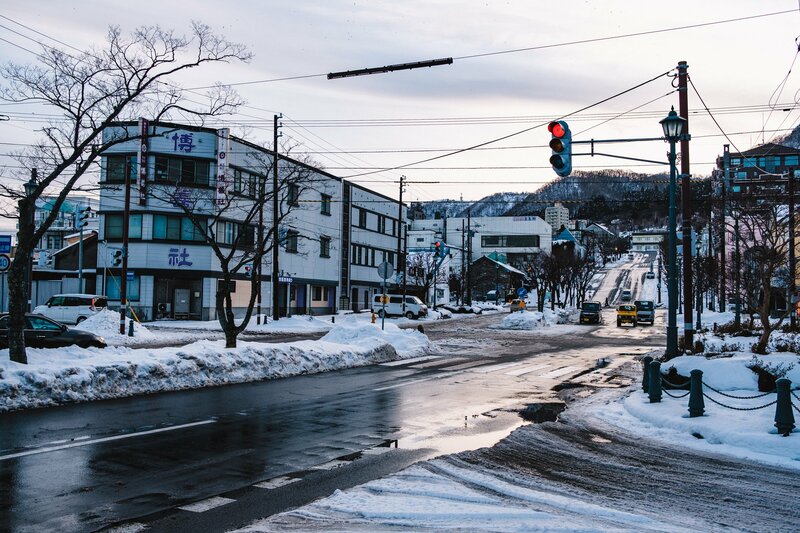 We stayed in Hakodate for just one night as a sort of “layover” before a long travel day the following morning. We stayed at the Hakodate Kokusai Hotel which was a swanky looking spa hotel, at a surprisingly affordable price. 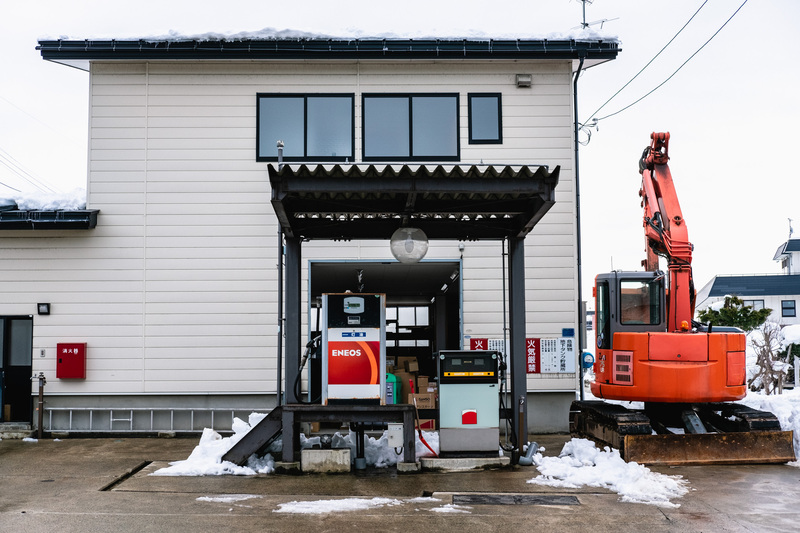 It’s conveniently located within walking distance of Hakodate train station, which has frequent services to Shin-Hakodate Hokuto station for the Shinkansen. The lighting was particularly pretty during the twilight hours, with a distinctive pinkish hue to the edges of every cloud and reflective surface. The wintry air seemed to have a really pleasant feel about it and made every street corner photogenic. With only an hour or so of daylight left, we headed towards the Mount Hakodate Ropeway for a view of the city for sunset. It’s probably the most touristic attraction in the region, with literal coachloads of people arriving to see the vista. It can feel like an exercise in herding as you squeeze onto a gondola up the mountain, but it is what it is. Complaining about it is akin to complaining about traffic, when in fact you are the traffic. We actually spent our evening catching up with some admin and planning for future trips. So we didn’t get to see much more of the city, sadly. Unfortunately, that’s just one of the downsides to being constantly on the move and part and parcel of the work we do to sustain ourselves and make a living through the content we make. We did, however, manage a couple of beers with our dinner at the Hakodate beer hall. It was close enough to our hotel to make a quick shuffle in the icy snow, without wearing a suitable coat. Sorry, mum. The beers were exceptionally tasty, as you’d expect for a microbrewery. But the real surprise was the quality of the food. Especially considering it’s just a standard izakaya type setup. The Japanese LOVE souvenirs and collectables. It’s fascinating to see all the different regional gifts and delicacies available in each train station. My favourite collectables, however, are the unique train station and landmark stamps available all around the country. I’ve been slowly adding to my book with every visit to Japan, but the Hokkaido Shinkansen is among my favourites! The final leg of the journey for episode 1 of the Japan Rail Series. A whopping 7 hours of train travel on 3 separate trains from Hakodate to Sakurambo-Higashine. 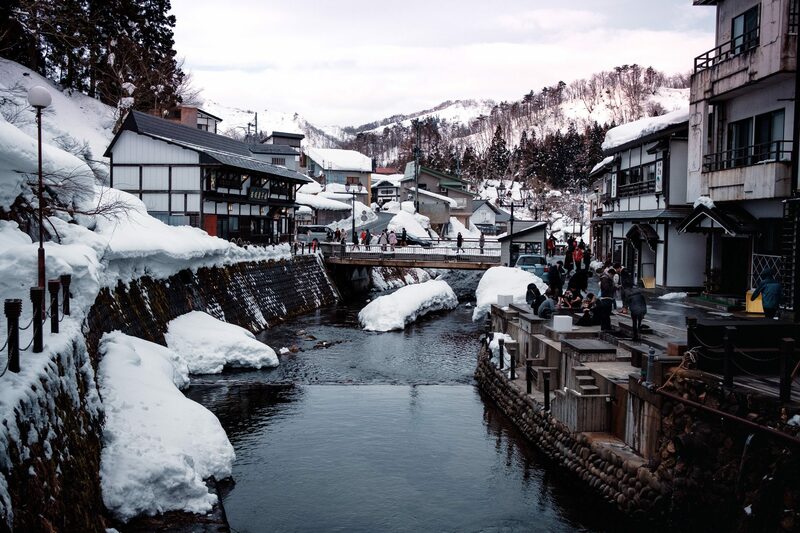 The original plan was to stay in Ginzan Onsen (a further 2 hours away). Logistically it was near impossible given the distance and time. But not fully impossible. 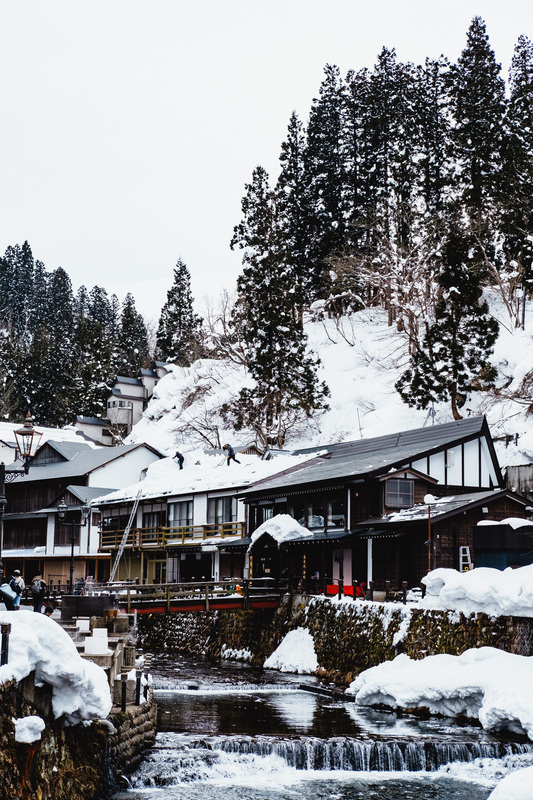 Our decision was made for us though when it turned out that 100% of the accommodation was booked up for the nights we wanted in Ginzan Onsen. It really is a location to book months in advance. We ended up staying in a Best Western right near the train station for about £35 per night. In typical Japanese fashion, the room was impeccably clean and had everything we needed and would expect for a room, even double the price. 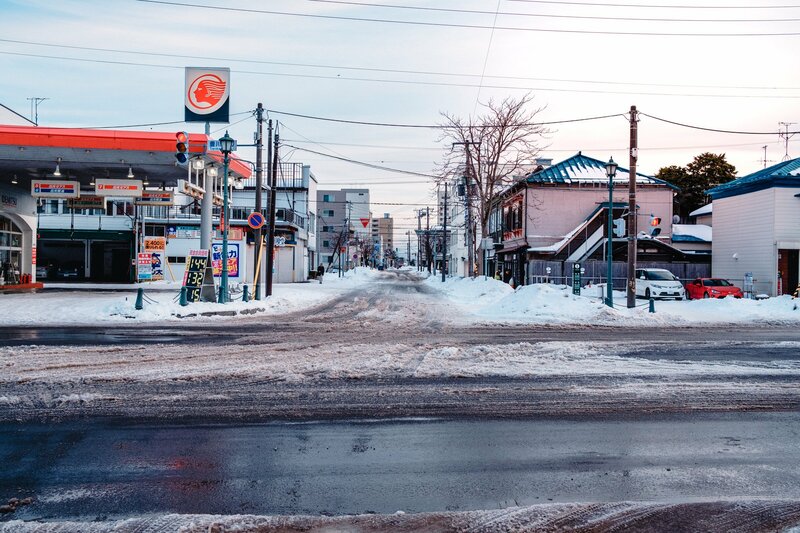 Being close to the station meant we could easily make the journey to Ginzan Onsen the following day. We took a local train to Oishida station (about 30 minutes) and then waited for a bus to Ginzan Onsen. There’s literally one bus that runs between the two towns. Not just one route, one physical vehicle. The journey takes 45 minutes, which means there’s a 90-minute wait at either end. The bus only makes its round-trip 5x per day. There is a train that arrives at Oishida station about 5 minutes before the bus departs. But without knowing how many people would be waiting for the bus, we thought it wise to get the earlier train. We then just waited in Oishida for about an hour with a coffee at a nearby café. We got to the bus stop about 10 minutes before the second train arrived, and easily grabbed a seat from the front of the queue. I noticed a few groups who came off the later train who couldn’t fit onto the crowded bus. So I’d say it’s worth getting there earlier, if you’re on a tight timeline to make sure you aren’t delayed. 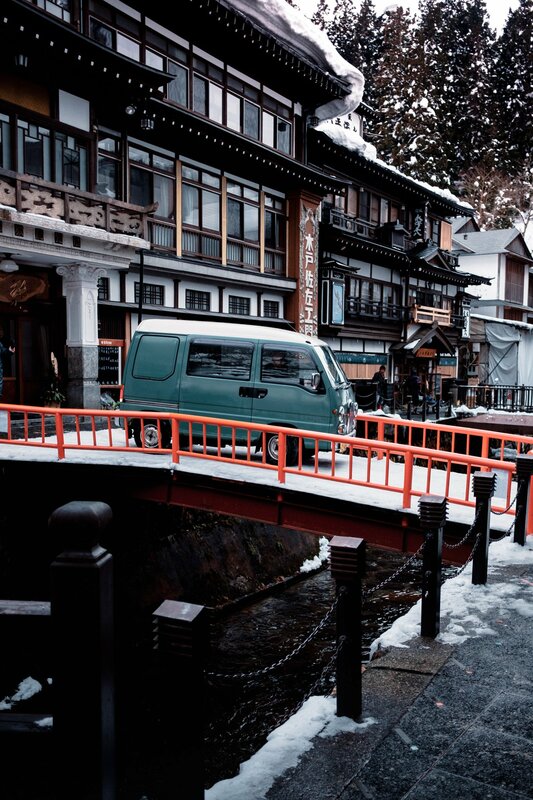 If you’re actually staying in Ginzan Onsen itself, many of the inns provide free shuttles to and from Oishida station. 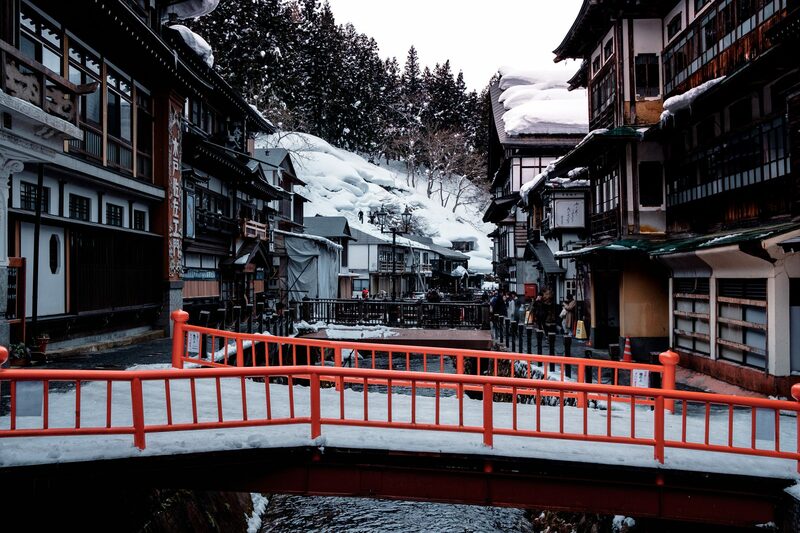 Ginzan Onsen is a quaint little village, nestled among some mountains and forests with a river running through it. 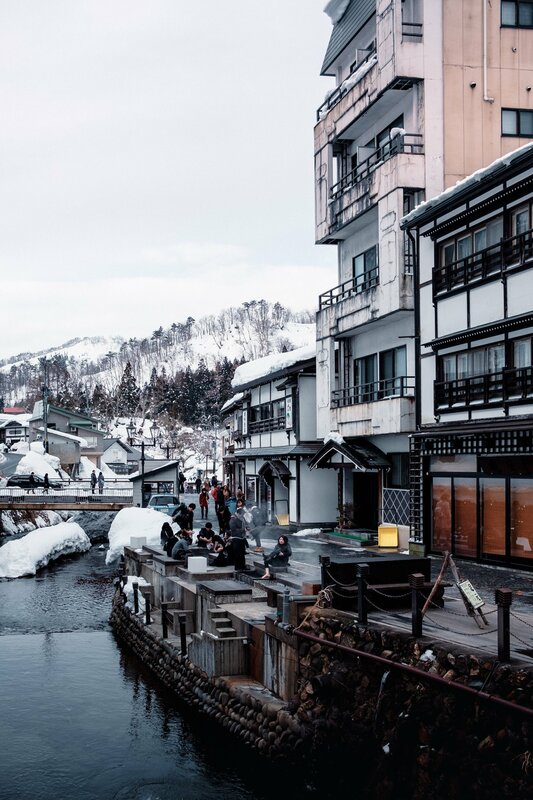 It’s hugely popular among domestic travel, with plenty of Japanese booking short trips away from the big cities to relax in the natural hot baths. Our first stop was (another) quick coffee break with a curry bun to warm up, before exploring around, taking photos and admiring the beautiful buildings. It wasn’t long before we found ourselves in a different cafe (酒茶房 クリエ / Cote de la Poste) with an amazing hot chocolate. There’s only one hot chocolate that springs to mind when I think of the best I’ve ever had, and that was at Angelina’s in Paris. But now, I think I’m gonna have memories of this beauty! 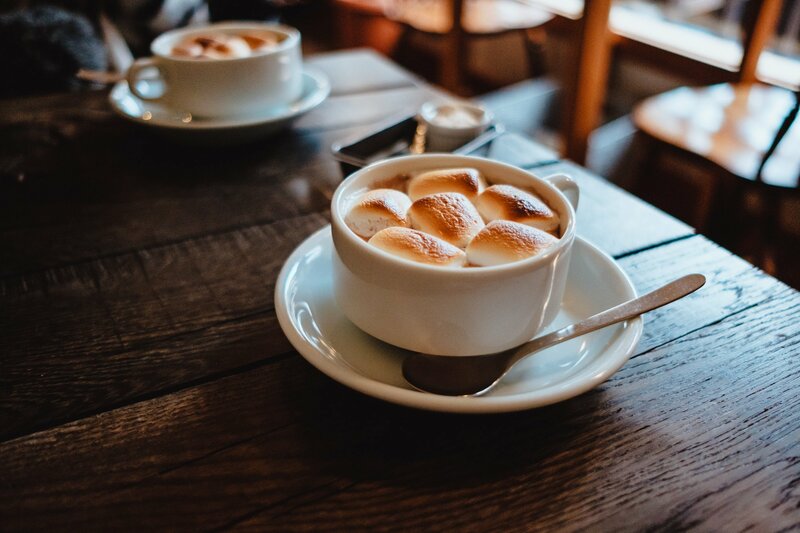 The creaminess of the marshmallows was beyond any toasted marshmallow I’ve ever had. As we weren’t staying in Ginzan Onse, we had to make our way back to catch our train to Higashine. We had a conundrum between getting the bus back at 4:35pm (bus timetable), or staying to see part of the sunset at 6:15pm and then racing up the hill to get the last bus only 5 minutes later. We wisely chose to skip the sunset and get the earlier bus. It would have been super stressful if we somehow missed it and had to get a taxi costing who-knows-how-much?! Luckily we did as we only just managed to get the last two seats available! I hope you’ve enjoyed this opening leg of our Japan Rail Series! Continue to follow our blog for more in the coming weeks. Make sure to subscribe to our social channels and stay up to date with the latest content we’re publishing, so you don’t miss out. Thanks for reading!